Under Armour, Inc. (NYSE: UA) on Tuesday announced its third quarter financial results and topped analysts’ estimates, sending shares 19.57% higher shortly before the opening bell. For the third quarter, Under Armor reported revenue of USD 1.44 Billion, increasing 3% year over year and beating estimates of USD 1.42 Billion. The Company reported an adjusted earnings per share of USD 25 cents, passing estimates of USD 12 cents. The stronger-than-expected revenue was due to Under Armor’s wholesale revenue, which increased by 4% year over year to USD 914 Million. Direct-to-consumer revenue was flat USD 465 Million, which represented 32% of the total revenue. Apparel revenue increase by 4% year over year to USD 978 Million, led by stronger growth in the training, golf and team sports segment. Footwear revenue remained flat at USD 285 Million. Accessories revenue decreased by 6% to USD 116 Million, led by declines in the outdoor and training segment. Despite the stronger wholesale revenue, the North American segment still saw its revenue decrease. The region decreased by 2% to USD 1.1 Billion, meanwhile the international segment increased by 15% to USD 351 Million. EMEA and Asia Pacific revenue were both up 15% as well, while the Latin America revenue was up 16%. 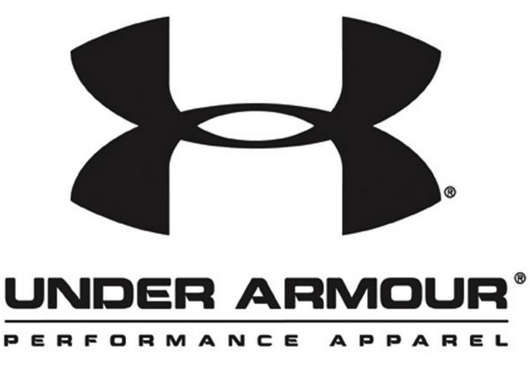 For the rest of the fiscal year, Under Armor is forecasting revenue to increase in the range of 3% to 4%, reflecting a low single-digit decline in North America, but slightly offset but the international growth. On an adjusted basis, operating income is expected to reach USD 150 Million to USD 165 Million, raised from the Company’s previous guidance of USD 140 Million to USD 160 Million. The Company expects a full-year earnings per share to be in the range of USD 19 cents and USD 22 cents. That’s how much shares in athletic shoe and clothing company $UA rose Tuesday, reflecting the largest gain in a decade. Analysts, though, warned about rising competition with Nike, and a slowing athleisure market.